A total of 7 CUs are necessary to fulfill the General Education Distribution requirement, which is the arts and sciences component of the curriculum. Any course in this requirement may be taken pass/fail if it is not used to fulfill the Global Environment requirement and does not apply to a minor. Please refer to the pass/fail policy for more information. 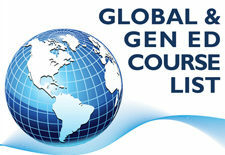 View a list of approved General Education Distribution courses. If you have questions about these courses, please meet with an academic advisor in the Undergraduate Division. NOTE: Students in the Management and Technology and Nursing and Healthcare Management coordinated dual-degree programs can only fulfill the General Education Distribution requirement through courses in the Social Structures or Language, Arts & Culture categories. Courses that are considered to be Science and Technology are not permitted for the General Education Distribution requirement. Social Structures courses focus on the relationship between individuals and institutions, methods of social observation and analysis, tools for historical analysis and inquiry, and issues of civic life and public policy. Courses within the category of Language, Arts & Culture focus on works of creativity. These courses may include, but are not limited to, those which analyze art, cinema, literature, music, and theater. These courses also include those focused on language acquisition and analysis. Courses within the category of Science and Technology focus on scientific methods of inquiry and interpretation. * Not all courses in these departments are guaranteed to satisfy the General Education requirement under which they are noted. Students who are unsure which requirement a course will fulfill should consult with an academic advisor in the Undergraduate Division.